I seem to have finished lots of products lately, and am close to finishing some more! Empty product reviews always interest me because I think that they prove both loth and endurance. Maybe getting rid of some stuff also justifies yesterdays haul? Hmm. Two skincare bits have bitten the dust. The Kiehl’s creme d’elegance is a really nice cream for dry skin, and I am missing it now that it’s gone. Very rich, but left my skin so smooth. The Effaclar duo from La roche posay was ok, but I didn’t see a massive difference, and sometimes it made my skin feel a bit sore. I think it’s targeted at more persistently blemished skin than mine. NARS Sheer glow is definitely one of my all time, if not the, favourite foundation. Finished the shade mont blanc, re-purchased in gobi. The Max factor mascara was good, although the brush was fairly big which seemed to mean I always smudged it on my eyelids, but only on one eye. Weird. I keep my mascaras for 2 months max, and then throw them away. I do not want an eye infection! The ELF makeup mist and set felt nice, but the ‘setting’ element was dubious. MAC’s paint pot in painterly is my go-to base, and I have used so much that I’m not going round the edges! Still loads and loads left, so pretty good value I think. I quite like being able to see through its bottom, it feels rude. Two By Terry empties… expensive times. The baume de rose is amazing, completely amazing. Already re-purchased. The touche veloute was a nice concealer, but overpriced for what it did. It didn’t last as long as I would have liked either, although I did appreciate how bright it made my under eye area look. 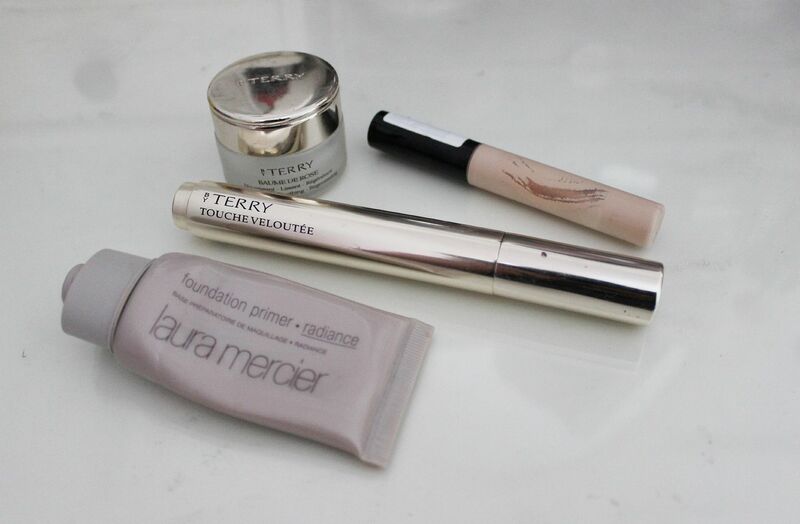 I’ve mentioned the Laura Mercier radiance primer so many times, and the deluxe sample size finally gave up the ghost. I have the full size waiting to be used up now. The collection concealer is pretty good, but I find it too drying for under my eyes. 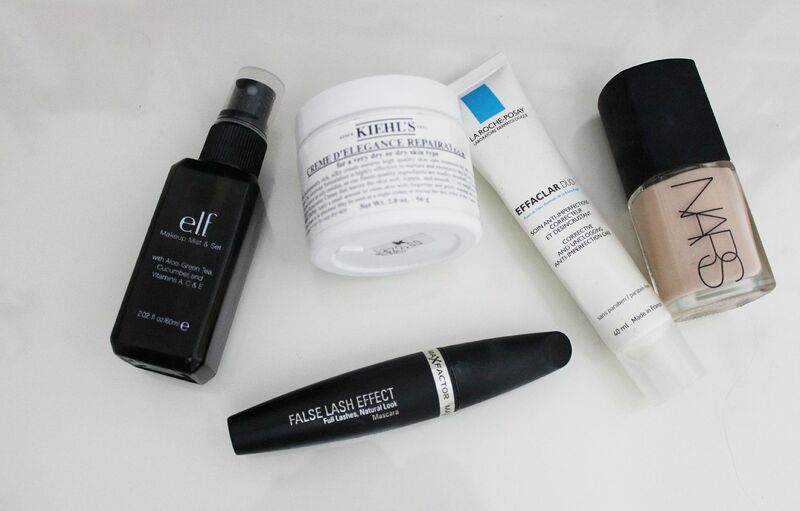 For blemishes it’s good, and this lived in my makeup bag for touch-ups. 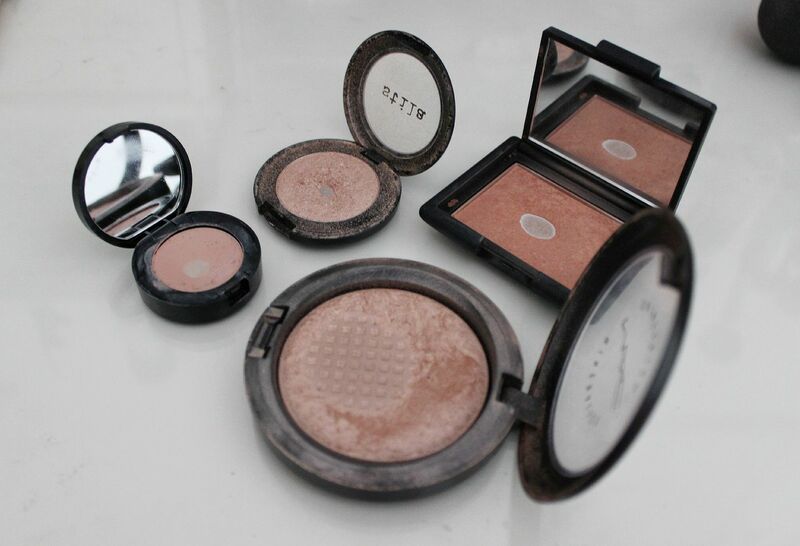 Four products that I’ve hit pan on… I know I’ve shown MAC Soft & gentle before, but wanted to include it to show how it’s still being used up. Slowly but surely! NARS Luster is also slowly going, I used it today and remembered why I loved it so much. Stila kitten has a little dip in the middle, but there is so much left & considering I only use it on my inner corner – I’m good for a while. 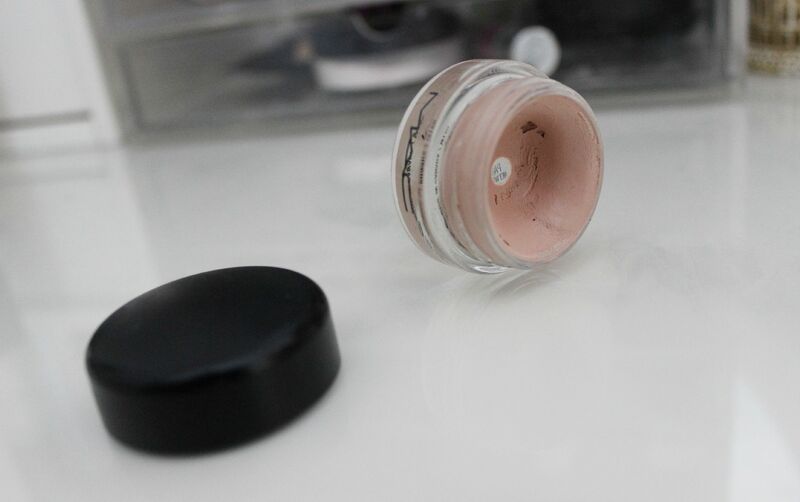 The Bobbi Brown corrector I like, but considering how little I use… has gone down quickly. You get so little product. Have you finished anything up lately?